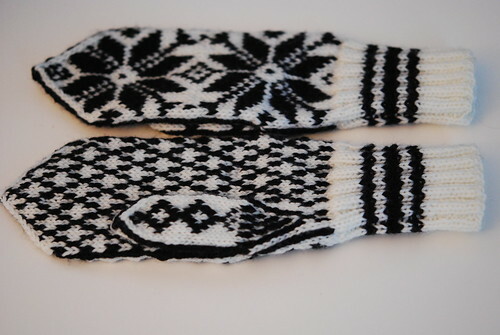 Selbu mittens by Sandnes Design, knit in Dale of Norway/Dalegarn Falk. Started November 29, 2012; completed December 10, 2012. 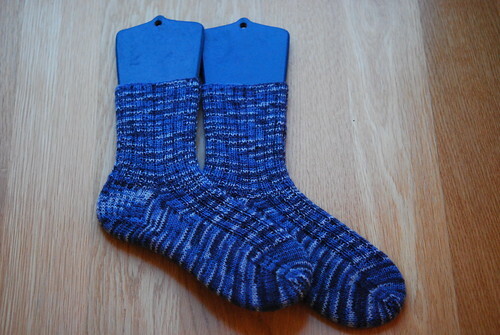 Sock Recipe: A Good, Plain Sock by Stephanie Pearl-McPhee, knit in Sandnes Garn Sisu Fantasy. Started December 2, 2012; completed December 15, 2012. 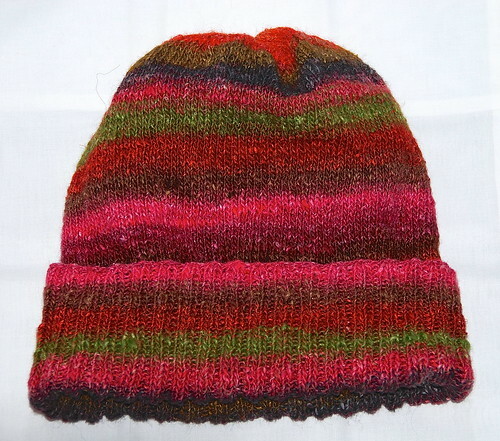 Sockhead Hat by Kelly McClure, knit in Noro Silk Garden Sock. Started December 18, 2012; completed December 26, 2012. 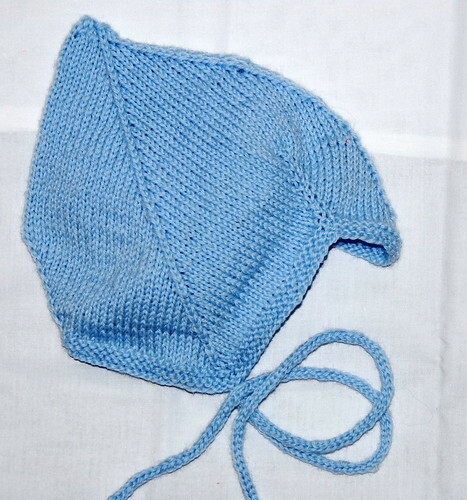 Djevellue by May B. Langhelle, knit in Dale of Norway/Dalegarn Baby Ull. Started December 15, 2012; completed December 26, 2012. 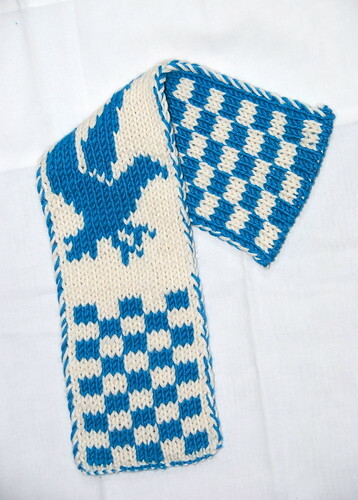 Hogwarts Double Knitted Bookscarves by Ann Kingstone, knit in Rowan Amy Butler Belle Organic Aran. Started and completed December 28, 2012.